This add-on is provided by the Community Hass.io Add-ons project. motionEye is a popular frontend to the camera software called motion. This add-on provides both, allowing you to add your camera’s to your Hass.io setup. motionEye is Open Source CCTV and NVR, that is elegant and really easy to use. It can be used as a Baby Monitor, Construction Site Montage Viewer, Store Camera DVR, Garden Security, and much more. Support for a ridiculous amount of cameras, including IP cams. Add multiple cameras by hooking up multiple motionEye instances together. For example, by using MotionEyeOS on a Pi Zero + Pi camera in your network. Supports uploading recording into Google Drive and Dropbox. motion detection, including email notification and scheduling. Can record continuously, motion, or timelapse, with retention settings. 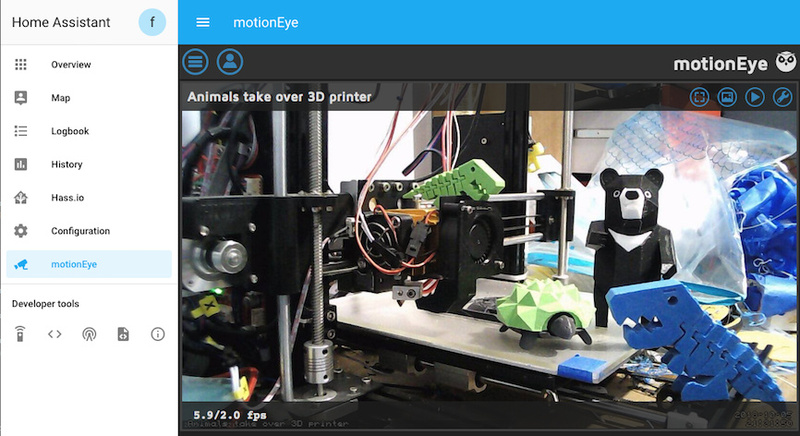 Check the logs of the “motionEye” add-on to see if everything went well. Login with username “admin”, without a password. Edit you admin account with a secure password! You can always try to get support from the community here at the Home Assistant community forums, join the conversation! At this moment our Community Hass.io Add-ons Discord chat server and GitHub are our only official support channels. All others rely on community effort. 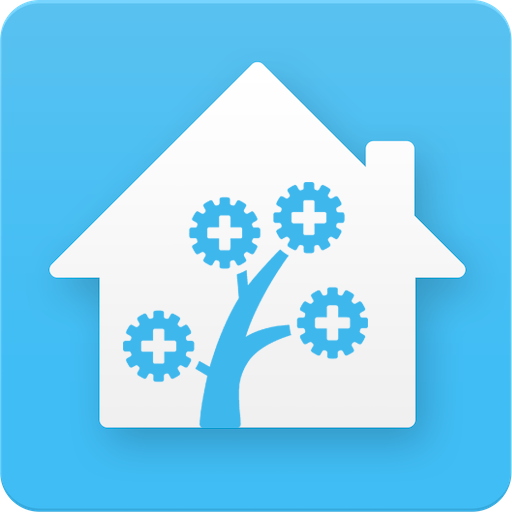 The primary goal of our add-ons project is to provide you (as an Hassio / Home Assistant user) with additional, high quality, add-ons that allow you to take your automated home to the next level. Check out some of our other add-ons in our Community Hass.io Add-ons project. How can I create a live multi-camera streaming view for all my amcrest security cameras (without ffmpeg)? I am Franck Nijhof, and I have 30 years of programming experience, in many languages. I am using this experience to work on the Home Assistant project by giving back my knowledge and time to the open source community. However, I have a problem… I am an addict. A addict that is. Lucky for you, I turn that C8H10N4O2 (caffeine molecule) into code (and add-ons)! If you want to show your appreciation, consider buying me a cup of high octane wakey juice by clicking on the “By me a coffee” image below! Or, become a Patron and support my work! Enjoy your add-on, while I enjoy the brain juice. P.S. : In case you want to ask me a question: AMA (Ask Me Anything). Most of the time I am online at the Discord chat. (I go by @Frenck in there as well). This video by Linus Tech Tips talks about / shows motionEye and the things it can do. motionEye allows you to combine multiple instances together. For example, you could run your main viewing instance using this add-on, while having some Raspberry Pi Zero’s with an Pi camera and running motionEyeOS around the house. Is it possible to add the MotionEye stream to groups.yaml file, so you don’t have to open it from the sidebar? 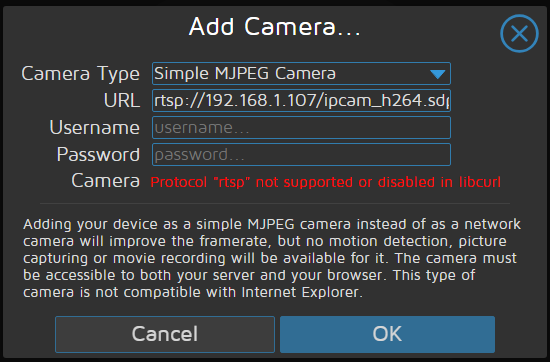 Try selecting “Network Camera” for Camera Type, instead of “Simple MJPEG Camera”. That’s how I use my rtsp capable cameras with motionEye. I have a USB camera attached to my pi with Hassio and this addon - how should I configure the camera in motioneye? Not sure about your question there. Adding to the sidebar is not needed and totally optional. You can just add your camera’s to your Home Assistant using the mjpeg component. Like already answered, select “Network camera” from the first dropdown and you’ll be good. I’m buying you a coffee right away!!! I managed to set this up very quickly and this add-on does seem to solve the issue I was experiencing with Shinobi or even the native interface with a couple of Chinese RTSP cameras. I’ve spent sooooo much time with that, yet now it magically seems to be working just fine. You are a star!! There is one thing not working though and it is related to the sandboxing of iOS. I don’t have let’s encrypt running on my Home Assistant and the iOS app does not seem to be friends with accessing the stream over https. Usually browser warn you on self-signed certificates and stuff, but the HA app doesn’t. It simply won’t display the stream. Safari though does successfully show the cameras once you confirm you trust the end-point. I know there is a setting on the add-on which enables plain access, but before removing that thin level of privacy I decided to ask you here if you possibly can imagine how to overcome this limitation by forcing the HA app to open the website inside the app so that one gets prompted for accepting or rejecting the certificate. Hey. Tell me there will be an assembly for aarch64? Interesting! This ffmpeg is provided by Alpine Linux, this will take some investigation. I will be glad to help with any information. Thanks! : Motioneye, Shinoby, Zoneminder … difficul to choose! @frenck I watched you build this component on Twitch last week. Super cool to see your process for building components. Thanks for all you do for the HA community!